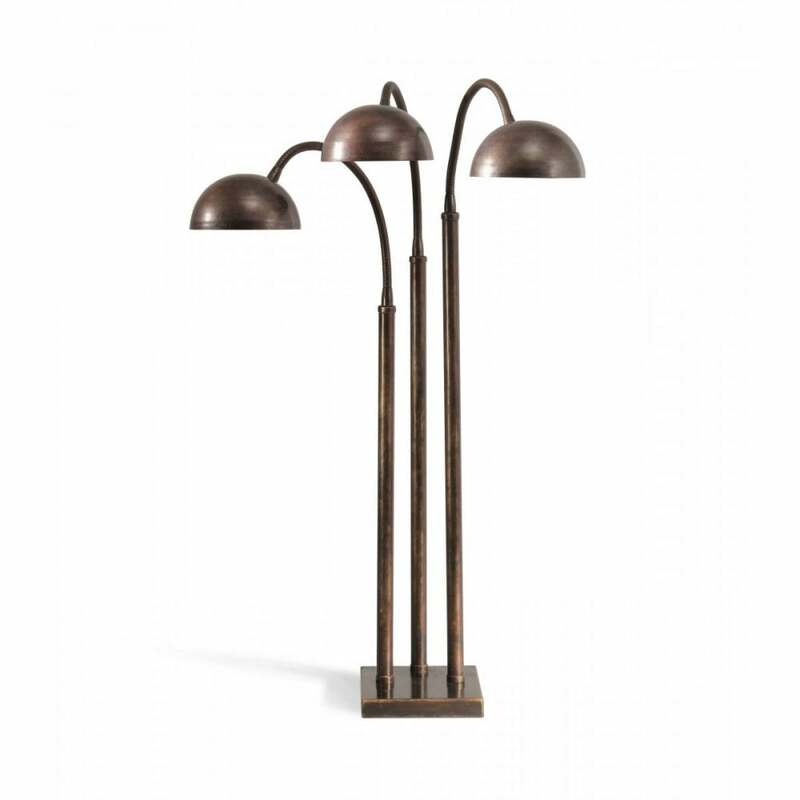 The Arc Lamp by Porta Romana features three apposable heads with flexible metalwork. Large in scale, this elegant design is created with smooth spun metal shades that can be adjusted to provide maximum light and ambience. Available in two radiant metals, choose from an aged gold or a brilliant bronze hue to suit your scheme. The perfect addition to any home office or study, the Arc Lamp has a distinct character with an old-fashioned quality. The Arc Table Lamp would have a presence in any interior setting.